*Remastered sound, insert / booklet with liner notes* "This 1979 album (technically her 4th, although 6 of these songs were also released on her 3rd), was recorded when Turkey was at its most politically polarized. 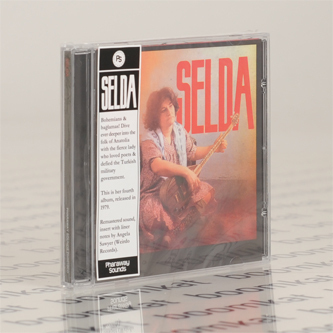 Selda was sentenced to a total of over 500 years in prison right about the time it came out. A pile of acoustic guitars & baglamas all going off at once under a blanket of reverb, with lyrics about blood, wood, mountains, families, and desperate troubles, so it's a thick squirt for a folk album."